Self awareness and the desire and ability to ask questions that inquire into the nature of reality are among our most fundamentally-human traits. The desire to seek wisdom and greater understanding has lead cultures throughout time to spontaneously develop their own systems of divination. Divination, which literally means to foresee or to be inspired by god, has been defined as an attempt to gain insight into a question or situation by way of employing a specific mystical system to interpret reality. Such systems involved reading patterns found in everything from tortoise shells to tea leaves, including random patterns found in butchers' discards and animal feed thrown on the ground. The old testament even contains biblical references to the throwing of sacred dice to make decisions. It was not until the invention of the printing press and playing cards that divination with cards became popular. The earliest playing cards where found in Imperial China as early as the ninth century. By the eleventh century, playing cards were spread throughout the Asian continent and later came into Mamluk, Egypt. The Mamluk pack contained 52 cards, comprised of four suits: polo sticks, coins, swords, and cups – the same four suits found in many divination decks today. The first Tarot decks to depict people where thought to have originated in fifteenth-century Italy. Manuscripts from 1735 show the first records of primitive divinatory meanings for the cards, as well as the first systems for laying out the cards. Throughout time, artists have come along who's creative interpretation of the archetypes governing the human journey have captured the spirit of the times, and perpetuated the survival of this ancient system. 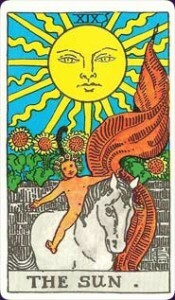 Among the more influential and popular divination decks are the Rider-Waite-Smith deck, drawn by artist Pamela Colman Smith, under the guidance of mystic Arthur Edward Waite, the Thoth Tarot, drawn by the artist Lady Frieda Harris, under the magical direction of Aleister Crowley, and The Aquarian Tarot, by artist David Palladini. Each of these decks has played a major role in maintaining the popularity of this ancient system of entertainment and contemplation. The most recent deck to capture the spirit of the times was The Wild Unknown Tarot, illustrated by Kim Krans. This contemporary deck debuted in high-end fashion boutiques throughout the country, once again helping to spread the influence of this once underground system to new levels of popularity. 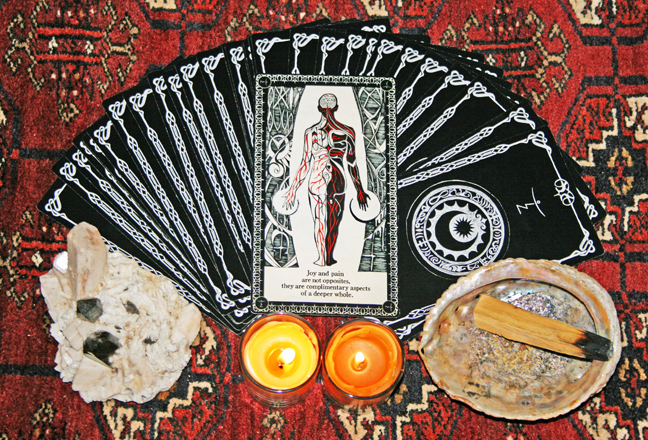 In addition to the Tarot, and the more primitive forms of divination mentioned above, there have always been other complimentary wisdom decks and divination systems. The I-Ching, for example, forgoes the use of cards altogether in favor of coins that direct the querent (the person seeking insight) to different chapters of the accompanying book of life wisdom. 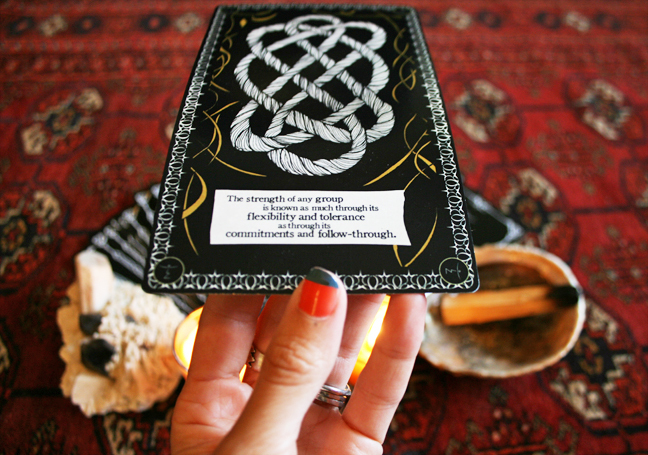 The Deck of Essential Wisdom, by Forrest Landry and Janelle Despot, represents something of a fusion between the Tarot and I-Ching. Much like our popular “Tiny Book of Essential Wisdom”, the philosophy book on which this deck is based, The Deck of Essential Wisdom contains ideas known to be of maximum significance, value, and usefulness. The accompanying artwork represents over 200 hours of hand-drawn illustrations depicting the artist's transformative journey within, and attempts to capture and embody the deeper meanings of the aphorisms as understood through personal experience. We hope you will enjoy our humble contribution to the storied lineage of humanity's quest for knowledge! Click here for more information and purchase details.